Listeria monocytogenes is a Gram positive and ubiquitous organism that has been implicated in a number of foodborne outbreaks. In this study, 15 Listeria monocytogenes isolated from duck farms and a wet market were typed using random amplified polymorphic deoxyribonucleic acid (RAPD) to track the source of contamination. Two arbitrary RAPD primers were used in the polymerase chain reaction to determine the genetic relatedness among the Listeria monocytogenes isolated from duck farms and a wet market to enable the tracking of their possible source or origin. RAPD primers DAF-4 and OPM-01 characterized the 15 Listeria monocytogenes into 4 and 3 RAPD types, respectively. Listeria monocytogenes isolated from duck intestines and carcass rinse clustered together in the same RAPD type suggests possible cross contamination. Additionally, OPM-01 grouped Listeria monocytogenes isolated from feces and soil into the same RAPD type, while DAF-4 showed that faeces and soil isolates where closely related compared to intestinal and carcass rinse isolates. Tracking the source of foodborne pathogens and routes of transmission is important to help implement effective preventive, control and treatment measures. Keywords: Cross contamination, Duck farm, Listeria monocytogenes, RAPD, Wet market. Elbably MA, Emeash HH and Asmaa NM. A cross sectional study was carried out from April, 2009 till the end of November, 2011 to estimate prevalence of mastitis and its risk indicators in private dairy herd in Beni-suef region. A total of 233 Holstein milking cows were tested using California Mastitis Test (CMT). Prevalence of mastitis at cow level was 42.92 % (100/233), out of which 9.87% (23/233) and 33.05% (77/233) were clinical and subclinical mastitis, respectively. The quarter level prevalence was 29.08 (272/929); from this the clinical and subclinical forms were 5.81 (54/929) and 23.47 % (218/929), respectively. Samples from all 54 active clinical cases and 98.0% (208/211) of positive CMT subclinical quarters were found to be culture positive. A total of 272 bacteria were isolated, the most prevalent being coagulase negative Staphylococcus (CNS; 37.8%), S. aureus (25.8%) followed by E.coli (18.7 %). Other bacterial isolates included Streptoccusagalactiae (11.8 %), Klebsiellapneumonae (3.6 %) and Str.uberis (2.8 %). Risk factors such as age difference, stage of lactation, parity, tick infestation, previous history of clinical mastitis, and farm hygiene were highly significant in the mastitis prevalence (P< 0.01). On the other hand, strong relationship was found between milk production and occurrence of bovine mastitis as, prevalence was higher in adult cows (X2= 9.50, P< 0.05), hence the risk of developing mastitis significantly increase (P< 0.003) in lactating cow at ages (3-5 years) , at early lactation stage , with paritynumber (2-4) and during summer months, than those corresponding animals. In conclusion, the potential risk factors associated with mastitis prevalence and severity includes cow's itself and their surrounding environment particularly farm and milking hygiene procedure. Moreover, veterinary supervision, and tick infestation are among the potential risk factors predispose and increase severity of mastitis problem in dairy farm. Keywords: Bovine Mastitis; Prevalence; Risk Factors; Predisposing Factors, Tick Infestation. Bashir, HHA and El Zubeir IEM. This study was conducted to evaluate the husbandry practices, impact on socio-economic status of the herders and contribution of Baggara cattle in South Kordofan State in milk production, in addition to the constraints facing its production. 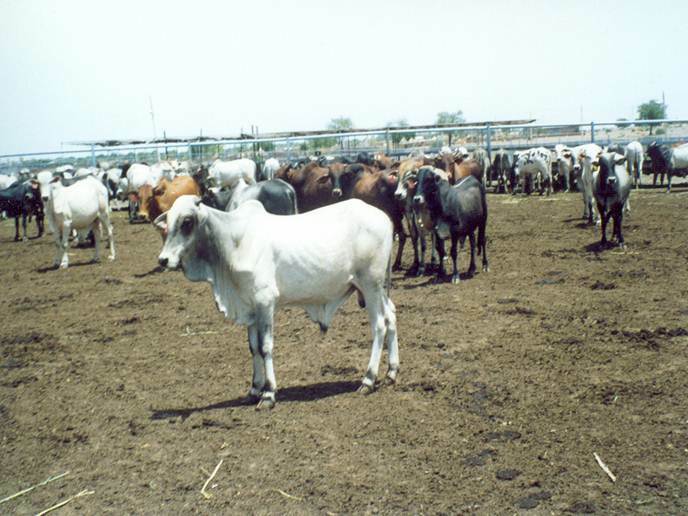 Information about management practices was collected via a questionnaire and direct interviews with cattle owners, the data include 80 herders from the extensive and semi-extensive production systems. The results indicated that the age of majority of cattle owners (48.75 %) was more than 40 years and the family members are more than 5 persons. Illiteracy among the herders was 25.0%, and 12.5% of the herders had university education. Significant (P≤ 0.05) differences were found between possessions of the herds and sources of fund. Only 15.0% of the cattle herders offer supplementary rations to their cows during the late pregnancy in semi-extensive system compared to 80.95% in the extensive production system. The water offered to the cattle herds was from rain, pipes and wells. Most of the herds (95%) were under health supervision. Moreover, twice a day milking was the common practice in all the herds. The main constraints facing the herders are low productivity, marketing, feeding and managerial problems. However 97.5% of the cattle herders practice the sale of traditional dairy products. The present study recommended initiation of milk collection and processing centers for sustainability and livelihood. Also marketing attitudes should also be encouraged within the traditional production systems. Ahmed Hamid SH, Mohamed Ahmed FA, Adam Mohammed IM and Mohamed Ali SI. The aim of this study is to determine normal range of fish blood (Oreochromis niloticus and Clarias lezera) in Khartoum State. Sixty samples of fish were examined, 30 samples of Oreochromis niloticus and 30 samples of Clariaslazera. The fish were selected from three different sites in Khartoum State, Jebel Awlia Reservoir, College of Science and Animal production Technology Fish Farm and Golden Arrow Co. Ltd. The experiment was conducted for one month, and the result revealed that the total protein percentage of Oreochromis niloticus range between (13.39 ± 39.25 mg/dl), Glucose (152.75 ± 56.45 mg/dl) and Urea (34.5± 22.95 mg/dl). 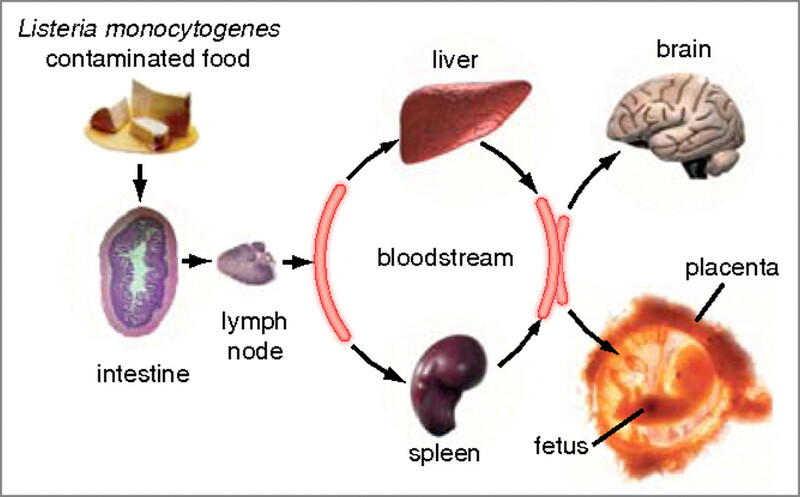 The Red Blood Characteristics were Haematocrite (PCV) (16.3± 9.45%), Haemoglobin Hb (3.5±2.0 mg/dl), White blood cell (WBCs) (80.2± 79.7), Red Blood Cell (RBCs) (2.6± 1.5), MCV (74.1±40.6 ft), MCH (26.9±16.6 pg). The total protein of Clarias lazera was (157.85±193.35 mg/dl), Urea (45.45±23.4mg/dl) and Glucose (91.72± 128.35 mg/dl), while Red Blood Characteristics were Haematocrite (PCV) (20.15±4.7%), Haemoglobin Hb (9.95±2.8 mg/dl), White Blood Cells WBCs (119.23± 64.63), Red Blood Cells RBCs (2.6±0.59), MCV (76.49± 24.5 ft). MCH (36.25± 13.85 pg). Mahala AG and Mokhtar AMS. This study was carried to evaluate sugarcane tops (SCT) in terms of degradability and fermentation gas production and to evaluate local and crossbred calves fed (SCT) in terms of meat composition. Calves of various Friesian and Kenana blood levels 1/2, 5/8 and 3/4 Friesian and pure local Kenana breed fed (SCT) at levels of 20% ration (A) or 30% ration (B) added to conventional fattening ration. Each blood group was divided into equally two subgroups on average live body weight bases. In Sacco degradability, in vitro gas production for the two rations and meat analysis of calves were carried out. Concerning in vitro dry matter and crude protein degradability, ration (A) was significantly (P< 0.05) degraded than ration (B) except in incubation period 3hr, 24hr and 48hr in which ration A was highly degraded. The effective degradability at three levels of rumen out flow rates (0.02, 0.05 and 0.08) were higher in ration A than ration B. Similarly the gas volumes produced at each incubation period were higher for ration (A) than for (B). Meat composition was studied in addition to water holding capacity and cooking loss. Differences due to rations were variable among the animal groups. However, moisture percent, water holding capacity and cooking loss were lower in animals consumed ration (B) than those consumed ration (A). Fat content was higher in ration (B) than in ration (A) for 1/2, 5/8 and 3/4 Friesian. Local calves that consumed ration (B) had lower moisture and fat content and higher percent of cooking loss compared to those consumed ration (A). Chalechale A, Karimi I, Zavareh S, Karimi A. The western Iran is unique and diverse in geographical locations and ethnic groups, mainly Kurdish group. The aim of this study was to gather and to record antiparsitic remedies that still used in Kurdish tribes in western Iran. The research area included the most populated parts of the Kermanshah and Kurdistan provinces, mainly Kermanshah, Sahneh, Songhor, Dalahu, Javanrood, Sanadaj, and Kamyaran. The studies were done by Kurdish language scholars of veterinary medicine. A purposive sample of 15 participants was created from interviewing of herbalists, farm women, the old, farmers, shepherds, animal breeders, horse trainers and chiropractic men. Among them only market herbalist refused to participate in interviewing sessions more than 1 to 2 times. Twenty plants with documented antiparasitic activity are reported here. Andropogon nardus, Artemisia multellina vill, Achilla mountanica, Astragalus gossypinus Fisch; Artemisia absinthium, Cucurbita verrucosa,Cinchona officinalis, Gossypium herbaceum, Marrubium vulgar, Polygonum aviculaveofficinal, Hippophae rhamnoides, Red berries of Willow thorn (Tarou in Kurdish), Pisum sativum, Allium ampeloprassum, Satureja hortensis, Tragopogon porrifolius,Salix spp., Allium spp., Allium Moly, Rubia tinctorium are used as vermicidal remedies in Kurdistan. A functional soup made of lentil, saffron and blackseed is used by Kurdish people as an antiparasitic meal. Overall, due to the lack of interest among the younger generation as well as their tendency to migrate to cities for lucrative jobs, there is possibility of losing the wealth of knowledge of Kurdish ethnomedicine in the near future. It thus becomes necessary to acquire and preserve this traditional system of medicine. Keywords: Kurdish language, Kurdish Ethnomedicine, Antiparasitic plant.